Until only a few decades ago thousands of Greeks were leaving the country in search for a better life in foreign countries, such as Germany, America, Canada, Australia, South Africa. Millions of Greeks became immigrants all over the world and a plethora of Greek communities outside the country was born. 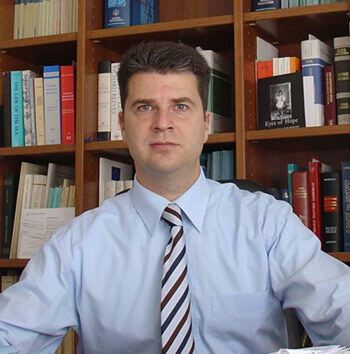 After the year 1990, though, Greece has seen a massive wave of foreign immigrants, who legally or illegally have populated the country, forcing the Greek authorities to face the opposite side of the immigration issue. In the meantime, Greece became a full member of the European Economic Community (today's European Union) in 1981, the standard of living has risen, and Greece is already an active member of the largest block of states in the world affairs, the EU. The almost unstoppable flow of immigrants from poor countries and participation in the EU are the two basic reasons that explain why the Greek citizenship has become so popular. Those that wish to obtain the Greek citizenship could be categorized into two lists. The first comprises the poor immigrants from former communist countries, Asia, the Middle East and Africa who want to legalize their presence in Greece (and the EU). The second includes the citizens of rich countries (USA, Canada, Australia etc.) who would like to be able to reside, work, set up business or study in the EU and enjoy the same rights as the locals and not suffer discrimination because of their non-European origin. A. Those that can prove that they have a parent or a grandparent who was born in Greece and obtained the Greek nationality by birth can claim the Greek citizenship now if they can find documents proving the Greek citizenship of their ancestor. According to Greek law there is no problem if the applicant wants to keep his/her present nationality. So, a Greek American can become Greek citizen without losing his/her American citizenship. The next line of required documents consists of the marriage certificate of that ancestor, the birth certificate of their child, until we reach the person applying for citizenship today. If that ancestor was a grandfather, we need his marriage certificate, the birth certificate of his child, the marriage certificate of the child that is the parent of the present applicant and the birth certificate of the present applicant. If the applicant is married, we need his/her marriage certificate as well. 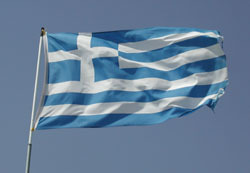 Many males of Greek origin are concerned that if they obtain the citizenship they will have to serve to the Greek Army. This is not the case if they retain their status as foreign residents. a permanent resident of Greece and he will have to do 12 - 15 months of military service. Some examples of special cases: a Greek woman who lost her Greek citizenship because she married to a non-Greek can obtain again the Greek citizenship if she declares her wish to the Greek authorities, either in Greece, or at a Greek Consulate all over the world. B. Those that have not Greek ancestors but wish to become Greek citizens must have legally lived in Greece for a period of ten years within the last twelve years in order to apply for the citizenship. The applicant must be an adult at the time of the lodging of the application and must not have been convicted of any of a range of crimes -- including drug trafficking, money laundering, international economic crimes, crimes committed with the use of modern technology, monetary crimes, crimes against adolescents, smuggling and so on -- or any crime receiving a sentence of a year or more in prison. © 2000 Hellenic Communication Service. All Rights Reserved.